A member of the U.S. Equestrian Team, having represented the USA internationally in Canada, Holland, Belgium, France and Germany. United States Dressage Federation Bronze, Silver and Gold medalist. 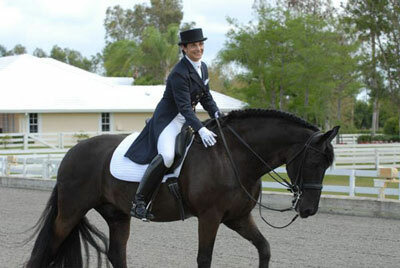 Reserve rider for the Bronze medal winning Olympic Dressage Team in Barcelona. Long listed by the United States Equestrian Team with Genaldon, Jolicoeur and Zapatero. Winner of nine Horse of the Year awards. Winner of three National Freestyle Championships.